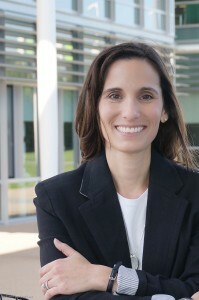 Linda Amaro is a featured columnist for Women Lead Magazine, and a contributor to Women Lead Blog, the official blog of Connected Women of Influence, where she covers topics, tips and tricks surrounding The Virtual Office and using Microsoft SharePoint to improve collaboration. 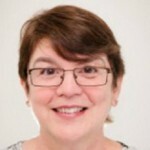 Linda Amaro, has been in the Information Technology (IT) industry for over 30 years and has risen to the position of CIO in the corporate arena managing multiple departments with over 150 staff members and projects for tier one customers ranging from $2.5 million to $20 million. In 2010, she started Klarinet Solutions, a SharePoint consulting firm that provides SharePoint Design, Site Branding, Workflow Automation, On-Line Forms Development, Document Management, Custom Development and Business Intelligence. 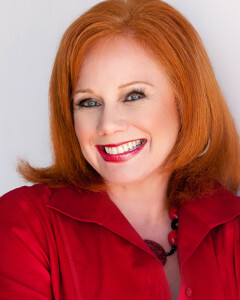 Shelley Anderson is a featured columnist for Women Lead Magazine, and a contributor to Women Lead Blog, the official blog of Connected Women of Influence, where she covers advertising issues. At the Marketing Deli, Shelley places local, regional and national media (including Hispanic and ethnic media) for consumer and business-to-business clients in both online and offline media. Sylvia Becker-Hill is a featured columnist for Women Lead Magazine, and a contributor to Women Lead Blog, the official blog of Connected Women of Influence, where she covers the topic of women’s empowerment. An award-winning executive coach on both sides of the Atlantic since 1997, she is also a published author and executive speaker. Sylvia is the founder of Über Women International Inc., a global empowerment company on a mission to turn more professional women into powerful leaders shaping the world. 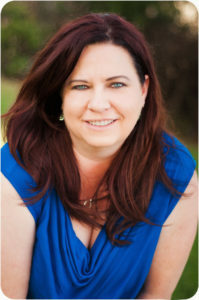 Stefanie Blue is a featured columnist for Women Lead Magazine, and a contributor to Women Lead Blog, the official blog of Connected Women of Influence, where she covers the do’s and don’ts of photography. A portrait and branding photographer based in Southern California, Stefanie has worked with authors, speakers, coaches and professionals in many industries across the country and internationally. She is known for putting her clients at ease, providing reassuring guidance, and creating tailored sessions that bring out her subjects’ personality to visually represent their brand. Stefanie is the owner of True Blue Portrait. Christie Bravo is a featured columnist for Women Lead Magazine, and a contributor to Women Lead Blog, the official blog of Connected Women of Influence, where she covers the topic of women in leadership. 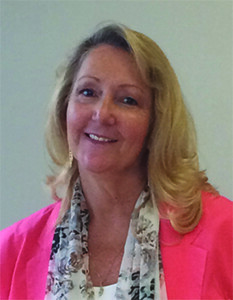 Christie is director of operations and a third-generation successor at Bravo Roofing Inc., a commercial and industrial roofing company. With over 15 years of experience in small business, she has learned the importance of empowering others. She is currently enrolled in the organizational psychology program at Concordia University. Her passions include family, travel, and golf. Michelle Burkart is a featured columnist for Women Lead Magazine, and a contributor to Women Lead Blog, the official blog of Connected Women of Influence, where she covers business strategy, revenue growth and profits for sustainability. Currently, Michelle is the owner of TH!NKbusiness, a San Diego firm specializing in advising women in business on restructuring to achieve revenue growth and profitability. Michelle has experience as a business owner, corporate executive, trainer, speaker, and overall advocate for women in business. Lorie Campbell is a featured columnist for Women Lead Magazine, and a contributor to Women Lead Blog, the official blog of Connected Women of Influence where she covers customer relationship management (CRM) and detailed planning. She is the owner of LAC Solutions, a consulting company that specializes in CRM and event solutions. Previously, Lorie spent 20 years with IBM working as a consultant, teaching, managing projects, executing technical sales and supporting vendor partnership alliances. 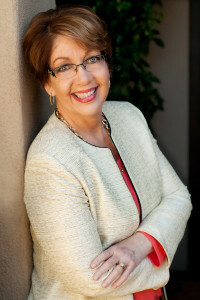 Karen Dietz is a featured columnist for Women Lead Magazine, and a contributor to Women Lead Blog, the official blog of Connected Women of Influence, where she covers how to build impact and influence through the power of business storytelling. 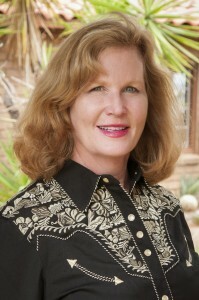 Karen is the author of the bestselling book Business Storytelling For Dummies. Clients include Fortune 500 companies, nonprofits, and entrepreneurs. Karen is also a textile artist who brings her artwork and design principles into her leadership and story-coaching workshops to create ‘sticky learning’ experiences. Karen’s storytelling expertise can be found at Just Story It. Susan Doherty is a featured columnist for Women Lead Magazine, and a contributor to Women Lead Blog, the official blog of Connected Women of Influence, where she covers how companies can create a culture of health in the workplace along with tips on how busy professional women can stay healthy during hectic times. She shares insights from her long career in the health and wellness industry to offer organizations best practice tips on creating a culture of health in the workplace. Susan is the owner of Action Ergonomics and specializes in risk prevention for workers in the office environment, solving a major barrier to productivity and performance. Windus Fernandez Brinkkord is a featured columnist for Women Lead Magazine, and a contributor to Women Lead Blog, the official blog of Connected Women of Influence, where she covers the intersection of women in business and managing their investments and taking charge of their financial future. Currently, Windus is Senior Vice President of Investments with Trilogy Financial Services, a financial services company that focuses on helping business owners and individuals build and manage wealth. Jacqui Genow is a featured columnist for Women Lead Magazine, and a contributor to Women Lead Blog, the official blog of Connected Women of Influence, where she covers all topics related to marketing. Jacqui is a small business marketing consultant who helps business owners take the guesswork out of marketing by providing clarity and direction – a roadmap – to reach their marketing goals. 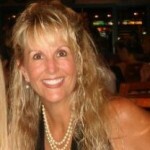 Jacqui is an Independent Marketing Consultant at J. Genow Marketing. 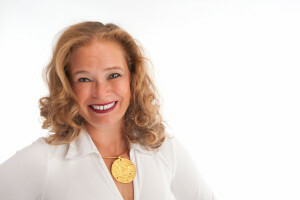 Liz Goodgold is a featured columnist for Women Lead Magazine, and a contributor to Women Lead Blog, the official blog of Connected Women of Influence, where she covers all things to make your brand stand out. Liz is a branding author, consultant, coach, and motivational “speecher” who gets entrepreneurs and corporations to brand out, stand out, and cash in on their business. 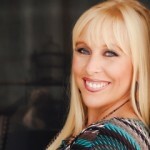 Liz is a international branding coach, author & speaker at REDfire Branding. 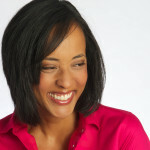 Adrienne Grace is a featured columnist for Women Lead Magazine, and a contributor to Women Lead Blog, the official blog of Connected Women of Influence, where she covers all things print, web, advertising and package design. Adrienne is an art director and designer with an extensive background as a photo stylist. Adrienne understands how corporations think and operate. Her company Vim & Vigor excels at helping companies craft their brand strategies to create business communications that are clear and memorable. 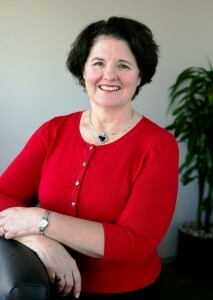 Brenda Grow is a featured columnist for Women Lead Magazine, and a contributor to Women Lead Blog, the official blog of Connected Women of Influence, where she covers corporate communications. 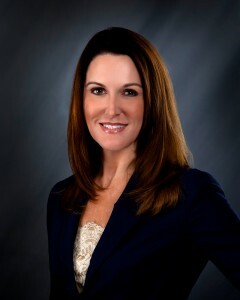 As an independent consultant specializing in commercial insurance, leadership and communication training, she has a B.A. from CSULB and a master’s in psychology from Pepperdine University. Brenda has over 30 years of experience at a regional independent insurance agency where she held several positions, including an executive leadership role. 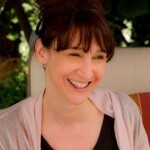 Eve Gumpel is a featured columnist for Women Lead Magazine, and a contributor to Women Lead Blog, the official blog of Connected Women of Influence, where she covers topics related to writing and editing. As the owner of Good Writing Matters, she writes and edits marketing content for businesses, and edits and ghostwrites books. 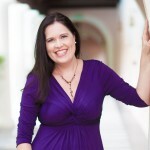 Jen Hamilton is a featured columnist for Women Lead Magazine, and a contributor to Women Lead Blog, the official blog of Connected Women of Influence, where she covers ways to get people to do their job right, professionally, and work well with others. Jen is the CEO and co-founder of Institute for Mastering Success, a corporate training and development company that supports their clients in escalating their teams into promotable people. 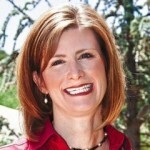 Tammy Hawkins is a featured columnist for Women Lead Magazine, and a contributor to Women Lead Blog, the official blog of Connected Women of Influence, where she covers women making their way in the IT arena. 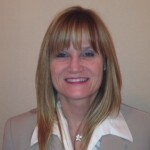 Tammy is the Vice President, West Region for Optomi, the fastest growing IT staffing firm in the nation, having joined the company as one of its equity players. She is passionate about helping great technologists find the next step in their career. Tammy’s drive to “lead” – whether out front or in the ranks – originated with her military service in the U.S. Army at the beginning of her career. 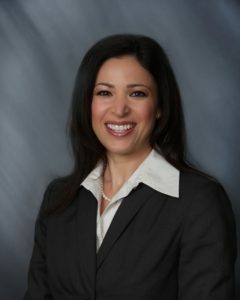 Grace Horoupian is a featured columnist for Women Lead Magazine,and a contributor to Women Lead Blog, the official blog of Connected Women of Influence, where she covers California laws on gender pay equity. Grace is a partner at Fisher & Phillips LLP , a national law firm representing employers exclusively in the areas of labor and employment law for over 70 years. Their practices are focused on representing employers in all industries in a variety of employment cases, including claims for harassment, discrimination, retaliation, wrongful termination, equal pay violations and unfair business practices. Fisher & Phillips greatly values the importance of having women leaders throughout the firm and in our communities. C. Tracy Kayser is a featured columnist for Women Lead Magazine, and a contributor to Women Lead Blog, the official blog of Connected Women of Influence, where she covers all things estate planning. C. Tracy Kayser is an estate planning attorney where she assists clients with their estate planning needs, probate and trust administration, conservatorships and litigation. She was a former insurance defense litigator for 7 years before opening her own law firm, Kayser Law, in Orange County in 2010 in order to better serve her clients and to provide high-end service with compassion and excellence. JC Keville is a featured columnist for Women Lead Magazine, and a contributor to Women Lead Blog, the official blog of Connected Women of Influence, where she covers the topic of environmental liability. 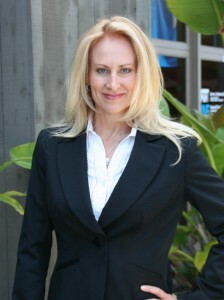 A third-generation San Diegan, she has more than 19 years of business experience and a reputation for being honest, reliable, hardworking and dedicated to doing her best for clients. 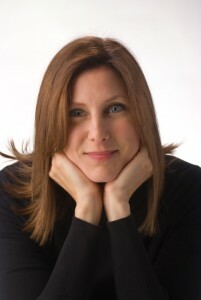 Melissa Ladaire is a featured columnist for Women Lead Magazine, and a contributor to Women Lead Blog, the official blog of Connected Women of Influence, where she writes about video production. She is the owner of Gain Crowd Media, which produces videos for businesses and individuals, including B2B lead generation, sales funnel campaigns and search engine optimization to drive sales. 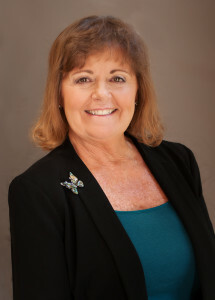 Amy Lessa is a featured columnist for Women Lead Magazine, and a contributor to Women Lead Blog, the official blog of Connected Women of Influence, where she covers California laws on gender pay equity. Amy is a partner at Fisher & Phillips LLP, a national law firm representing employers exclusively in the areas of labor and employment law for over 70 years. Their practices are focused on representing employers in all industries in a variety of employment cases, including claims for harassment, discrimination, retaliation, wrongful termination, equal pay violations and unfair business practices. Fisher & Phillips greatly values the importance of having women leaders throughout the firm and in our communities, Amy exemplifies the firm’s commitment in this area. 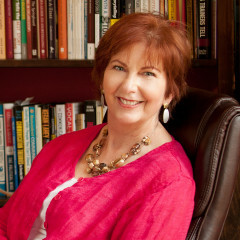 Becky Moore is a featured columnist for Women Lead Magazine, and a contributor to Women Lead Blog, the official blog of Connected Women of Influence, covering the topic of teamwork. 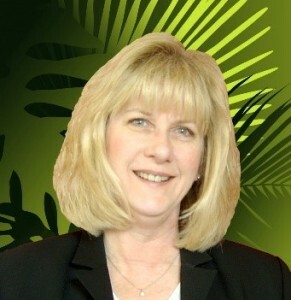 Becky is the branch manager of Silvergate Bank, serving the San Diego business community. 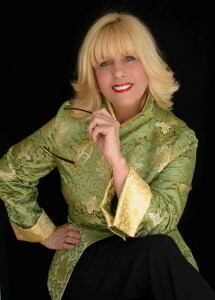 Francine Otterson is a featured columnist for Women Lead Magazine, and a contributor to Women Lead Blog, the official blog of Connected Women of Influence, where she covers technology and business solutions. Currently, Francine is the CEO and Chief Technologist of Service Desk West where they specialize in providing the SMB sector with full service IT support and business technology solutions. 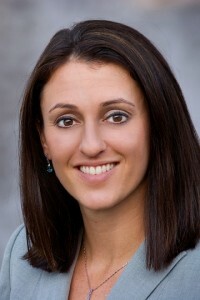 Jaimee Pittman is a co-founder of CWI and a featured columnist for Women Lead Magazine, and a contributor to Women Lead Blog, the official blog of Connected Women of Influence, where she writes on a variety of behavioral and performance issues that impact today’s workplaces. Jaimee is president of WORKPLACE GUARDIANS, Inc.
Deanna Potter is a featured columnist for Women Lead Magazine, and a contributor to Women Lead Blog, the official blog of Connected Women of Influence where she covers how to systemize, prioritize and profitize companies. Deanna is the author of From Distress to Success and is the Strategic Communications Manager at The Centre For Organization Effectiveness. Deanna has experience as a trainer, coach, speaker, business owner, project manager, and author. Michele Richardson is a featured columnist for Women Lead Magazine, and a contributor to Women Lead Blog, the official blog of Connected Women of Influence, where she covers internal communications. As an internal communications expert, Michele is on a mission to build workplaces where people are led by passion and purpose. Her programs get executives clear about how to communicate a new vision, how to get employees focused on achieving purpose-driven objectives, and how to position their organizations for growth. 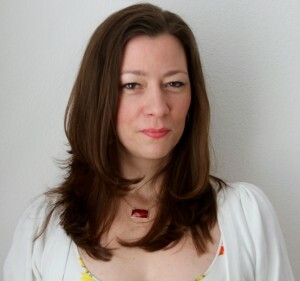 Michele is the CEO & Founder of Inciteful Communications. 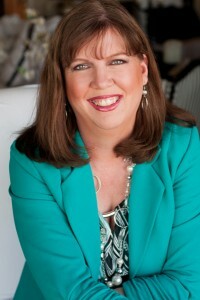 Tammy Rimes is a featured columnist for Women Lead Magazine, and a contributor to Women Lead Blog, the official blog of Connected Women of Influence, where she covers leadership topics. A consultant and keynote speaker, Tammy works with government officials across the nation on efficiencies and effective leadership. At the same time, she teaches companies how to work with government agencies and win government contracts. Beyond her expertise in government, she owned a family winery that was counted among the top five wineries in San Diego County in 2014. Her book, Drink Fine Wine…Ride Fine Horses: Leading the Life of Your Dreams, teaches others how to begin their own dream life. 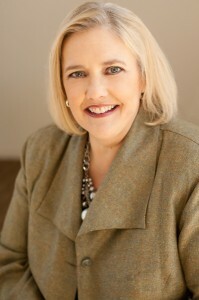 Lisa Schulteis is a featured columnist for Women Lead Magazine, and a contributor to Women Lead Blog, the official blog of Connected Women of Influence, where she covers topics related to marketing solutions. Lisa is an Infusionsoft certified partner and Digital Marketer certified partner. Lisa founded ElectraLime Marketing, LLC, a digital and online marketing company that provides marketing strategy, implementation and management for small to medium businesses. Debra Simpson is a featured columnist for Women Lead Magazine, and a contributor to Women Lead Blog, the official blog of Connected Women of Influence, where she covers all things digital media. Debra Simpson is the epitome of an early adopter of technology. Debra’s fingers were flying across her first computer, a TRS-80 from Radio Shack in 1985 when the World Wide Web was still an international bulletin board! 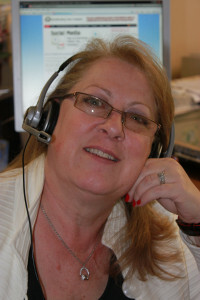 Debra is the producer and host of North San Diego Business, a weekly podcast. You can also find her on YouTube sharing digital marketing techniques and strategies. As the Executive Director of the Speakers Guild USA, I work with event planners, small business networking organizations, Chambers of Commerce and Convention planners bringing seasoned speakers to their events. 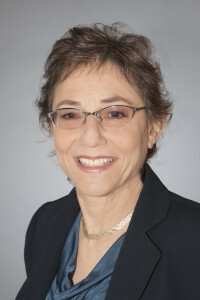 Lindi Stoler is a featured columnist for Women Lead Magazine, and a contributor to Women Lead Blog, the official blog of Connected Women of Influence, where she covers mainstream book publishing. 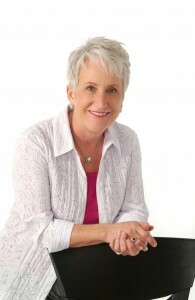 Owner of a full-service media and book company since 1980, she provides start-to-finish mainstream book services. Lindi helps you figure out what book to write, what style best suits the material, writes the proposal to publishers, and gets you to the literary agents whom publishers buy books from. She also trains clients in how to write books in best-seller style. 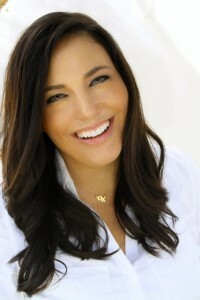 Her clients include Tony Robbins and Michael Jackson. 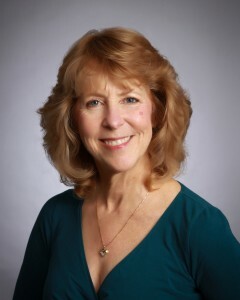 Sheila Swaddle is a featured columnist for Women Lead Magazine, and a contributor to Women Lead Blog, the official blog of Connected Women of Influence, where she covers workplace health. The owner of Work Smart Physical Therapy & Ergonomics in San Diego, she is a physical therapist with over 15 years treating and preventing workplace injuries. She likes Keeping America at Work and Working Smart. 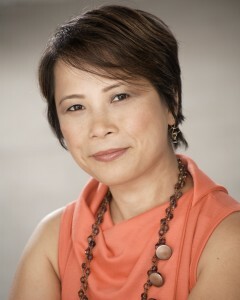 Quyen Tu is a featured columnist for Women Lead Magazine, and a contributor to Women Lead Blog, the official blog of Connected Women of Influence, where she explains complex legal concepts in layman’s terms for Women Lead Magazine. Her passion is working with and supporting mission-driven entrepreneurs who make an impact in their community. She handles her clients’ legal issues so they can change the world. Quyen enjoys volunteering, connecting people, and challenging herself physically. She aims to visit all seven continents and plays along with the Jeopardy contestants. Quyen Tu is an Attorney at Law Office of Quyen Tu where they specialize in helping successful business owners and entrepreneurs improve the world, starting with their community. We help you do well and do good. Shannon van de Poel is a featured columnist for Women Lead Magazine, and a contributor to Women Lead Blog, the official blog of Connected Women of Influence. She is co-owner and project director for vandePoel Productions, which provides corporate event services ranging from technology conferences for 30,000 people to concerts, seminars, and social events with as few as 100 attendees. At vandePoel Productions, the goal with each event is to create something new and different – and a whole lot better. Cookie Walden is a featured columnist for Women Lead Magazine, and a contributor to Women Lead Blog, the official blog of Connected Women of Influence, where she covers ways for women to take charge of their financial future. The founder of Walden Wealth Management, she specializes in financial planning for women. 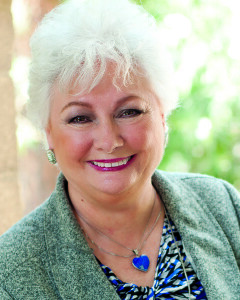 Donna Watson is a featured columnist for Women Lead Magazine, and a contributor to Women Lead Blog, the official blog of Connected Women of Influence, where she offers guidance and tips on branding and design. Donna has been “the mouse” behind Designer Mouse Graphic Designsince 1994, helping her clients promote their products and services and get their message out through website development, online promotion, email marketing and printed marketing collateral. CJ Westrick is a featured columnist for Women Lead Magazine, and a contributor to Women Lead Blog, the official blog of Connected Women of Influence, where she covers all things human resources and managing people in the workplace. CJ Westrick, SPHR, has been in human resources (HR) management for over 20 years and has maintained her SPHR (Senior Professional in Human Resources) national certification since 2002. She started HR Jungle, a human resources consulting firm, in 2006 to provide senior-level HR expertise to businesses without internal HR. 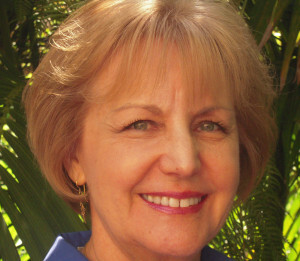 Debbie Wright is a featured columnist for Women Lead Magazine, and a contributor to Women Lead Blog, the official blog of Connected Women of Influence, where she covers everything about your “office on wheels.” She is a single mom of five and the owner of MOTEC Auto Care, located in San Diego. 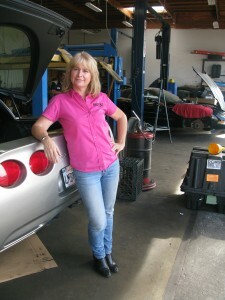 She shares her knowledge by educating women and young teens on the basics of car care. Read Our Most Recent Women Taking Charge Blog Posts!